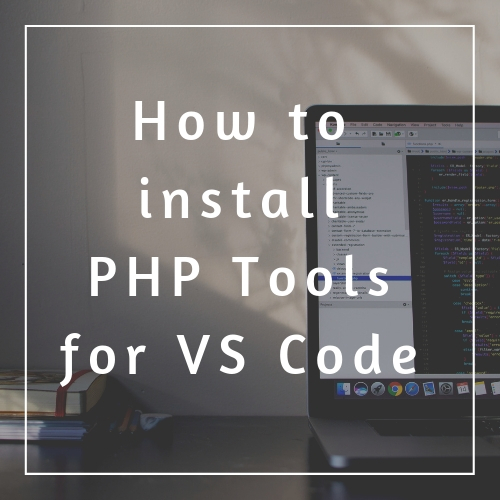 In this article, you will find out how to install PHP Tools for VS Code on Windows. Getting it running is fast and simple and it shouldn’t take you more than a few minutes. Install Visual Studio Code for Windows. To install PHP Tools, you need to have Visual Studio Code (VS Code) already installed on Windows. For those who already have it, just skip this step. For those who don’t, download VS Code for Windows. If you would like detailed instructions, click here. Once you have VS Code installed, you have different ways of installing PHP Tools. In this article, we’ll discuss two ways: The internal installation directly from VS Code, and the external from Devsense’s download page. Both ways are simple, fast and easy. Click the icon for extensions. Search for “PHP Tools” in the search menu. Click Install. The tool should be installed automatically. After the successful installation, a pop-up window will appear on the bottom right of the screen. There, you’ll have to choose among entering your license key, choosing to get a trial or receiving more information. Please, refer to the Activation section of this tutorial for detailed instructions. Go to Devsense’s download page. Make sure you have selected the section for VS Code on the right (the letters should be blue). Click the blue button “Get the extension” under the version you would like to download. The file will start downloading to your PC. Open the command palette on VS Code (Ctrl + Shift + P) and type in “Install from VSIX”. Next, click Install. If you already purchased your license key, click that button and fill in the required information. Fill in the information and you’ll receive an email with a 14-day trial key. Copy and paste the key and you’ll be able to start using the tool. If you think PHP Tools for VS is the right option for you, you can purchase a license after the trial period is over. This button will take you to the purchase page, where you’ll see prices and license information. The activation will be confirmed by a pop-up window stating that the process was successful. Once you have activated your PHP Tools, you need to setup PHP Tools’ debugger. PHP Tools makes use of Xdebug to integrate debugging features into VS Code. Make sure you have PHP installed. PHP Tools plugin doesn’t require you to have a web server! Only PHP. There are two options to install PHP on your platform. a. You can go to php.net and download the installer of the latest PHP by yourself (preferred). b. You can download the whole web server package for PHP – Xampp or Wamp. b. If you installed Xampp or Wamp, just open http://localhost on your browser, and click on the phpinfo() tab. Copy the whole content of phpinfo() that shows up and go to the Xdebug Wizard. Insert the copied content there and click on the highlighted button below. Then, follow the steps provided. Now you are ready to start your first project!